There is something unique about this case study that reflects the uniqueness of our food manufacturing software, Icicle, and the uniqueness of our client, Ontario Pride Eggs. A traditional case study aims to tell a story about a client’s experience. This case study shares the story of Ontario Pride Eggs via their Food Safety and Quality Coordinator Christopher Foster and, since he is a rather eloquent person, we only edited the interview transcript for clarity. This is Ontario Pride Eggs’ experience with Icicle – in Chris’ own words. Q: Tell us about Ontario Pride Eggs? 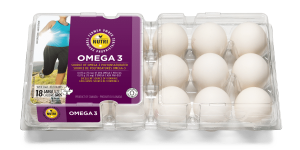 A: Ontario Pride Eggs is a farmer-owned cooperative under the parent company NutriGroupe. We believe in the power of partnership: collective production benefits both the farmer and the consumer. Rather than being corporate-driven, we are farmer-driven. This is important because Producers/Owners take a lot of pride in their product, and sometimes this can get lost in the processing chain, causing the quality to suffer. At Ontario Pride Eggs, Producers/Owners make all the investment decisions; they determine the direction of the company. Our job is to facilitate their needs while maintaining high quality standards. We believe that we have the senior leadership commitment at both the provincial and national level to be the best egg producers in the country. Q: What are some specific challenges for the egg industry? A: Our new multi-million-dollar facility began when we questioned owners and retailers to find out what kind of facility they wanted in order to respond to the challenges of today and in the future. From a consumer standpoint, quality is first and foremost. Consumers don’t want blood, cracked eggs, or any dirt or foreign material on their egg shells. The only way to ensure this is to have a system in place to catch these irregularities before they enter the marketplace. From there, it was a matter of finding ways to make the facility as automated as possible in order to increase quality standards and plant efficiency. This is something that producers and owners believe has been lacking in the egg industry for years but was difficult to change. 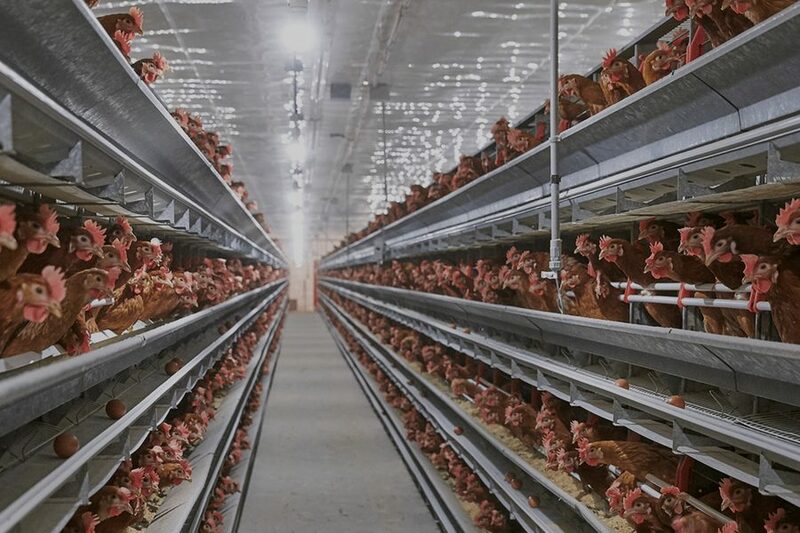 Since our first goal is to process the highest quality eggs, we knew that we had to design a facility and program that would be able to manage all the components of the egg production process but also be flexible enough to reflect the facility, since one plant will have a totally different quality program than another plant. Our vision is to standardize quality programs, so that wherever you are, the quality of the eggs will be the same. The only way to do that is to have identical programs. The question was, how can we achieve this goal while still meeting the individual needs of each plant? If you stipulate that six quality checks need to be conducted daily, and the facility only has the resources to do four, then the quality of the quality checks is going to decrease. One of the ways to do this was to make facilities as automated as possible so that we can free up the time to do what humans can do better than machines, like a trained human being performing validation, verification, risk assessments, and responding to alerts of a non-conformity in order to determine if there is a problem. We knew that we needed to find a food safety plan that would increase quality checks while allowing us to remain competitive. That was our rationale behind our partnership with Icicle: seamless standard across plants with as much quality-related automation as possible. Q: Why focus on automation? A: Automation really yields huge rewards for both food quality and food safety. From a food safety standpoint, our automated facility minimizes human interaction as much as possible This spills over into quality as well; automation takes the guesswork out of tasks that humans might not do or lack proper training for. You can always expect that people will do things exactly as they should in the program, but that never actually happens in practice. Employees have an inherent bias, are overworked, and leave room for subjective interpretations. Sometimes they make mistakes, or aren’t aware of the necessary procedures due to inadequate training. In an automated facility, you always get the same criteria. The QA person transforms from a firefighter to a conductor and you end up doing a simple verification on a monthly basis. On top of that, with Icicle, I can ensure with permissions that only properly-trained employees – and this is specifically marked in the program – are the ones doing the important checks. People need to change their thinking – monitoring systems don’t require paying someone to go out with a thermometer every hour. Our automated system doesn’t take vacations, doesn’t get sick, and is always trained – you just have to make sure that it’s healthy. At Ontario Pride Eggs, we have systems we can trust; all we have to do is verify them. This way, we’ve eliminated multiple daily checks with a very cost-effective piece of software and a very small piece of hardware. Your return on investment comes back in very quick succession. Q: Why did you choose Icicle? A: One reason Ontario Pride Eggs chose Icicle over other QMS providers is because of [Icicle creator] Steve [Burton]. I spent a lot of time with him talking about our company and what we do. He’s a phone call away and incredibly supportive in this new venture, which goes a long way. He’s a salesperson, technician, problem-solver, and food safety guru – all in one person. We had 15 different vendors on our rolodex, but none of them compared to the platform and support that Icicle offered. The fact that Icicle is a Canadian company was also something we considered. Q: What is the biggest advantage of Icicle’s automation? A: With Icicle, we can catch the problem before we lose control. If I have a paper-based system (and the rest of the market is still using a paper-based quality control system, which is something I’ve noticed in other sectors as well), I may not be seeing non-conformities for days. I’m performing validations on old data! Or if an employee notices a non-conformity, they have to report them and notify the correct people, who then need to act immediately. By that time, because of the nature of the industry, the product has already gone to market. So either you have to let it go or issue a withdrawal – or worse, a recall – which will eat away at profits immediately. With eggs, there is minimal time for rework; mistakes are an immediate loss in revenue. 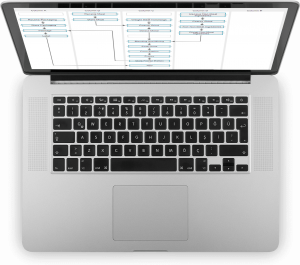 Our immediate return on investment for Icicle is real-time reporting that can capture non-conformities as they happen. If you receive real-time information and alerts, then you can act on it within minutes instead of hours – and fix it before it becomes a problem. It’s all on my dashboard; I can access Icicle through my computer, my tablet, or my phone. Q: How does automation impact traceability? A: Traceability is one of the largest issues that food companies face today. With a paper-based system, traceability is virtually impossible to maintain because there is always going to be a margin of error in your paperwork; you lose it, it gets wet, you miss checks, and so on. Having a uniform and consistent traceability program is vital, and Icicle makes everything easy. It’s idiot-proof. Checks that used to require hours now take minutes per day. Why we are still using pen and paper in 2018 is beyond me! I used to work in a (supposed) smart plant that was going through 1500 sheets of paper a day, with a five percent loss of paper every single day. Of course, this caused major problems when it came to audits and analytics. With Icicle, everything is in, locked, timestamped, and secure – meaning we’ll never lose it. Q: What are some of the long-term benefits of automation? A: Data on a piece of paper is useless unless you graph it over time. In order to do that, you need manhours. Once you’ve graphed it, do you trust the data? If you trust the data, you have to interpret the data! The whole system of compiling records, inputting, reviewing, validating, then coming up with a story – that’s days of work to do. An automated system uses your data for trending and the graph is never cut; there is never a last good check to measure against. There is so much more data available so your risk is dramatically diminished. In Icicle, I can pull up the last six months of records in the span of five seconds. Ontario Pride Eggs just passed our SQF audit with a high score of 91% and I can tell you, during an audit, you want everything in front of you. First, you discuss the program, then you dive into the monitoring, validation, and verification of said program. Icicle puts all of these in one simple place, eliminating the chance of delaying the audit while you try to find each element. From an auditor’s perspective, that’s perfect, and I can move onto the next thing that much quicker. A: Execution for anything automated is crucial. We were all very eager to roll out everything at once and it was too much for the Ontario Pride Eggs employees. The transition needs to be managed properly to ensure that everyone can handle it. People use paper because they’re intimidated by programs – training someone to file paperwork is usually easier than teaching them to use software. Companies are apprehensive about moving toward automation because some people don’t even own computers at home. My best advice is, do it one step at a time and work out an action plan or GANT chart on exactly what you want to accomplish, with timelines. If you bite off more than you can chew at once, people are going to have a bad taste in their mouth – and that’s not Icicle, it’s the execution. Utilizing Steve’s expertise ensures that companies can implement Icicle with a smooth transition. It was key for us to give Icicle Technologies Inc. all the details and allow them to assist with integration. On top of that, Icicle’s support ensures that employees can be trained and if they have questions, they can make a phone call, speak to a person (not a machine), and get help. 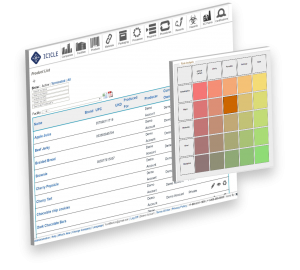 Icicle is also constantly updating user manuals to make it easier for employees to learn. In terms of other challenges, I suppose we are making a large investment in human capital, sweat equity, and risk. The tough sell in all of this is that quality doesn’t save money directly, and costs money – but that doesn’t mean you aren’t saving money in the long-run. With Icicle there was actually an immediate return on investment through the reduction of manpower and of our carbon footprint. Ontario Pride Eggs has saved somewhere between 75 to 100 sheets of paper per day, not to mention ink, wear and tear from the photocopier, and the staff needed to maintain it. The truth is that it’s paying off in multiple dividends by having all that data readily available for audit and trending purposes. Q: What do you think is your biggest return on investment for Icicle? A: What a lot of people don’t consider when it comes to automation is how it affects your QA person. The QA person is the most expensive person in the plant and with a traditional production model, they spend hours per day validating and verifying records – about 30% of their time. If quality checks are constantly being missed and an overloaded QA person is constantly putting out fires, this time grows exponentially. The frustrating thing is that this work doesn’t improve quality; the QA person is usually reviewing paperwork from 24-48 hours ago, so it’s not even catching problems in real time! They then have to spend more time tracking down non-conformities if they arise, fill out more paperwork, and circle back over and over. This is only the case because companies don’t believe that they have other choices. An automated monitoring system can be validated by anyone and the QA person just opens the record and makes sure it gets done (or gets an alert that indicates otherwise) and goes from there. As I said earlier, this turns hours of work into minutes per week. I could justify Icicle just based on the amount of time that it would save a large organization like Ontario Pride Eggs in QA time. The future of QA and quality control is to run products through a facility that meets or exceeds the basic requirements from a regulatory standpoint but also on the quality side. If you have a system that alerts you right away to quality concerns, you really can’t put a price tag on it because it makes all the difference for your company. Q: What is your favorite Icicle feature? A: I’m really enjoying the fact that Icicle can seamlessly integrate with all of the PLCs (Programmable Logic Controllers). 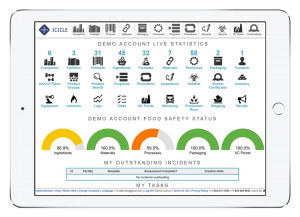 Icicle is also able to manage incidents, so the system can tell me what’s going on – even during downtime – and automatically introduce corrective actions. Since we can then use Icicle to trend these incidents, the system allows us to be more proactive through analytics, which of course ties into quality checks. Another of my favorite features is automatic mass balance calculations, which saves us a ton of headache and time when it comes to traceability. Every time I log into Icicle I find something new. But that doesn’t mean there are a plethora of new versions over the years. When Steve thinks of new functionality, he adds them in at no extra charge. While some companies send a bill for something as simple as resetting a password, Icicle builds towards a sustainable and mutually-beneficial relationship. And that counts for a lot. A: On my end, I can’t wait to add more facilities to Icicle’s system. Eventually I’d like to have it fully integrated across all facilities, coast to coast. What’s great is that here’s a system that can be replicated over and over, whether we have two plants or 90. We don’t have to reinvent the wheel at any facility but can also tailor the plan to any certification we want, be it BRC, SQF or FSEP. Our thanks to Chris from Ontario Pride Eggs for this interview! You can request a demo of Icicle here and sign up for our mailing list to learn about new feature releases.